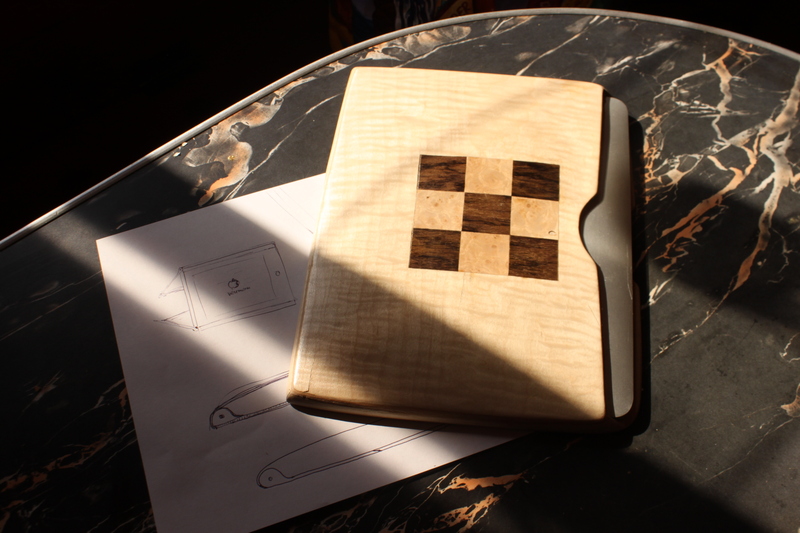 Ever since Apple released the first iPad two years ago I’ve been eager to build a custom wooden iPad case for it. 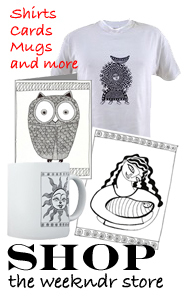 If it were up to me everything in life would be encased or decorated in wood. 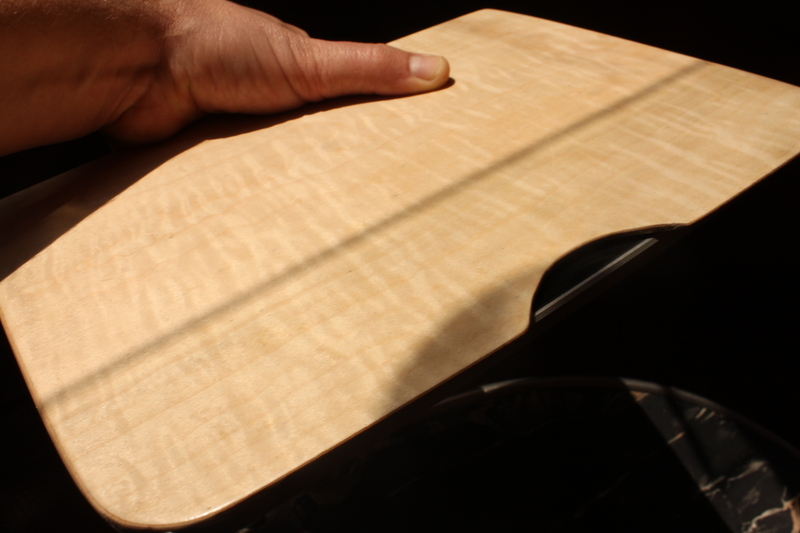 With my recently acquired vacuum-veneer press I’ve been able to test that theory on skateboards and mousepads. This latest project, however, has been a real design challenge. The contours of the iPad and the perimeter of buttons and outlets have made this an especially difficult project to design and construct. This latest prototype – the second of more to come in this design-build process – is a big leap toward success but still a work in progress. 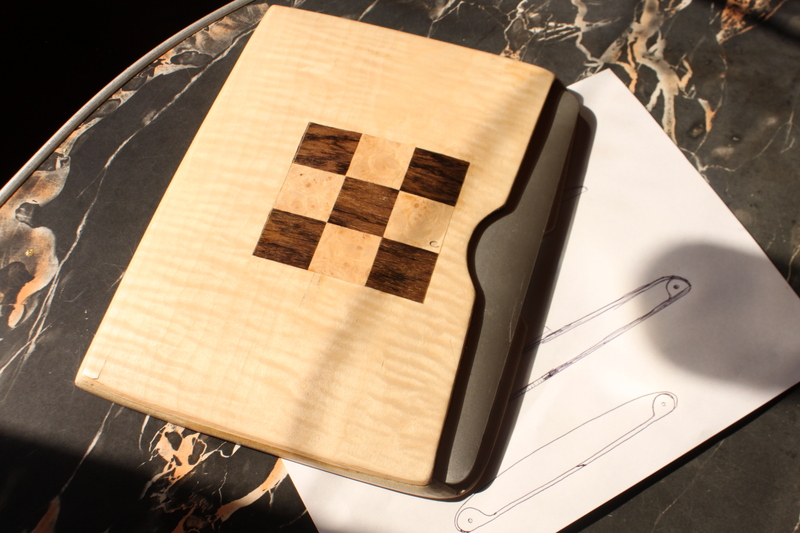 It’s made from tiger maple and decorative veneers and is lined with leather. As a protective layer it works great to keep the iPad safe during transit. 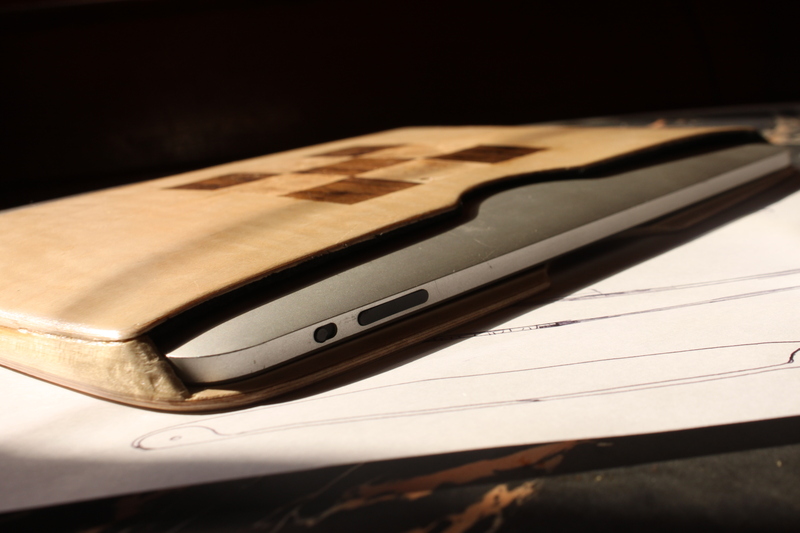 The wood case is extremely durable and it’s no more than 1/8-in. thick, which means it’s ultralight. The skin-tight fit also allows me to carry it in any orientation without the iPad slipping out. But there are some improvements still to come. While the iPad case fits the contour of the tablet like a glove, it’s more like an “iPad sleeve” than an “iPad case.” To use the tablet, you have to remove it completely and then find a place to store the case. Not to mention, most iPad cases provide some sort of stand to prop up the device or hold it comfortably while in use. Those are the features I’m hoping to design into the next prototype. 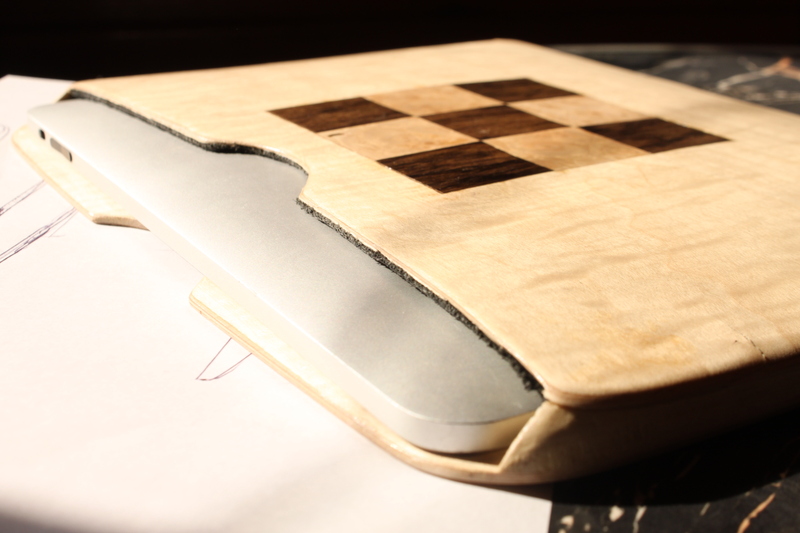 The iPad fits snuggly inside the contoured case. To remove the iPad from the case, a crescent cutout on the flat side of the iPad case provides a spot to grip and pull the tablet. For the next prototype, my goal is to fully encase the iPad and make a hinged cover that can be folded back to reveal the working surface of the tablet and prop it up for display. Wish me luck. UPDATE: A company in Holland has apparently cracked this nut already with the artfully designed Miniot iPad case, I just discovered with a Google search. It’s clear these guys use computer-operated machining tools to manufacture the precision parts. This would be near impossible to match by hand, but impressive nonetheless.